Ah, the carefree life of a dog or cat. Naps in a sliver of sunlight. Meals served to you without having to lift a paw. Tummy rubs. No stressful job, unhappy relationship or unpaid bills. What’s not to love? If only your life could be less complicated. Well, maybe it can be! 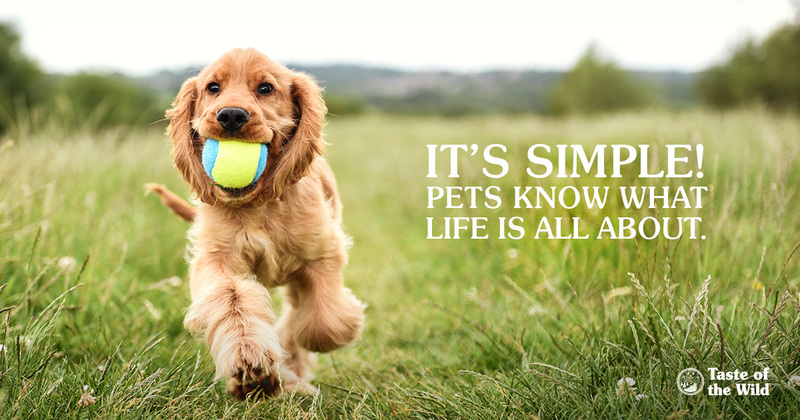 If we take a few cues from our best four-legged friends, we’d be surprised at what we can learn about living simply. Here are a few behaviors we can adopt to help create a healthier, more relaxing lifestyle. Unplug. Pets get along just fine without digital devices. Turn off your smartphone. Back away from your laptop. And lock up your remote. Devote time each day to an analog activity — like journaling, woodworking, photography or swimming — and experience the bliss of doing something you love without constant interruptions. Play outside. Escape the couch, open the door and fill your lungs with fresh air. Saunter around the neighborhood or go to a nearby park (your pet would be happy to accompany you). Take up running, biking or any other activity that gets your body moving outside on a regular basis. Wag more. Show people they make you happy. Welcome family members home with a hug at the door. Chances are, they’ll return the favor when you come home, too. Minimize. Your pet doesn’t need a million different toys and neither do you. Purge and declutter your house. Choose only the things that are most important or useful to you and get rid of everything else. Walk. Pets just don’t understand the concept (or need for) cars. The next time you need to run a short errand, leave the car keys behind. Stroll to the nearby hardware store or coffee shop. And like your pet, be open to meeting new friends along the way. Stop worrying. Most pets don’t lay awake at night worrying about their next nail trim. Worrying about tomorrow’s meeting won’t change anything. Sip some warm cocoa with a dollop of whipped cream before you go to bed and dive into a great dream (and even let out a sleepy little yip if you’re so inspired). Practice clean eating. Simplify your eating. Savor whole, natural and real foods that aren’t processed or refined. Better yet, buy locally where you can be more informed about the way your food is raised. Many pet owners are now doing the same for their dogs and cats with limited ingredient diets. Roll in the snow (or grass, or dirt or whatever you prefer). Stretch out in the yard and watch the birds flitting through the trees. Make a snow angel. Explore your sense of smell. Close your eyes and really appreciate the scent of fresh laundry, pine needles, dark coffee or popovers baking in the oven. Snuggle. And of course, as your dog or cat would tell you, there’s nothing better than cuddling up with someone you love. The information in this blog has been developed with our veterinarian and is designed to help educate pet parents. If you have questions or concerns about your pet's health or nutrition, please talk with your veterinarian. Pet Cams: When You’re Away, Are the Pets at Play? Is It a Stroke or Old Dog Vestibular Syndrome? Can a Limited Ingredient Diet Still Be Complete and Balanced? What, Exactly, Are Pet Foods for All Life Stages? Should Your Pet Sleep in Your Bed? Discovering Where Those Allergies Spring From Can Be Tricky! Celebrate Take Your Dog to Work Day! Could Your Pet Be a Social Media Star? Artificial Food Coloring: Is it good for your pet? Canine Heatstroke is Real. And Can Be Deadly. Picky Pets: Does Yours Have a Discriminating Palate? Left-Handed Pets: Can That Be Right? The Ethics of “Saving” Sick or Aging Pets: How Do You Know When to Let Go? Can Prison Inmates and Dogs Rescue Each Other? Can Dogs Help Prevent Cancer in People? Even on Hypoallergenic Food, My Pet’s Still Itching. What’s Wrong? Is Pet Anesthesia Really Necessary for Veterinary Dentistry? Pet Kisses: Should You Exchange Smooches on Valentine’s Day? Do You Have a Disaster Plan for Your Pets? Dog Stung by a Bee? Here’s What You Should Know. Can Your Pet Catch the Flu From You? Is Clean Eating Possible for Your Pet? What Happened to Pets in the Path of the 2017 Hurricanes? 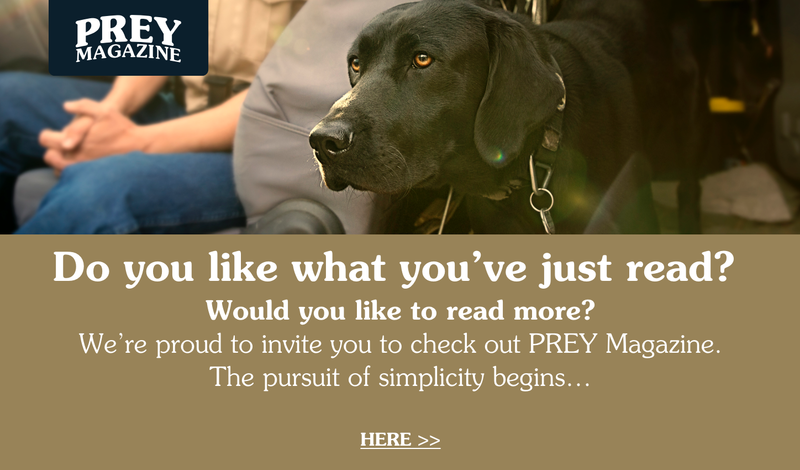 What Happens to Military Dogs When They Retire? What Do Pets Really Want This Holiday? Hint: Keep It Simple. Cognitive Dysfunction Syndrome: Normal Aging or Dementia? The Dog Aging Project: Could Your Dog Actually Live Longer? Changing Your Pet Food: Why and How? Litter Box Scoop: Why Does My Cat Urinate So Much? Some Pets Need More Cold Weather Care. Here’s What You Can Do. Does My Pet Really Need Flea, Tick and Heartworm Preventives in the Winter? What does the guaranteed analysis tell me? Which Sport is Right for My Dog? Should Your Dog Go Grain-Free? Mail Envelope Click here to contact us Location Pin Click here to find a location to buy Taste of the Wild.